The hill start assist system cannot be deactivated. - provided you are in position D or M on an automatic gearbox. Do not exit the vehicle while it is being held in the hill start assist phase. If you need to exit the vehicle with the engine running, apply the parking brake manually then ensure that the parking brake warning lamp (and the warning lamp P in the lever of the electric parking brake) are on fixed (not flashing). 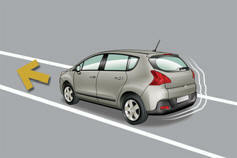 On a descending slope, with the vehicle stationary and reverse gear engaged, the vehicle is held momentarily when you release the brake pedal. If a fault in the system occurs, these warning lamps come on. 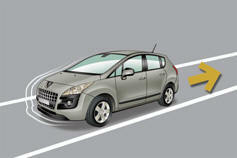 Contact a PEUGEOT dealer or a qualified workshop to have the system checked. 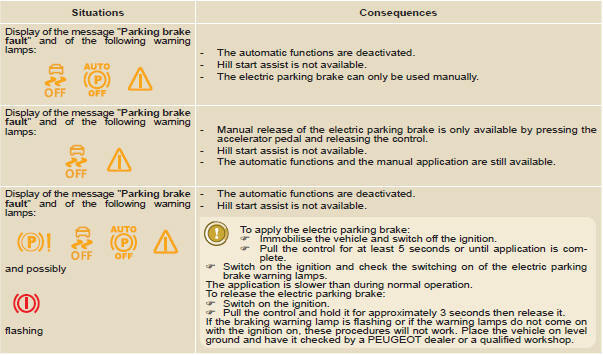 If the electric parking brake fault warning lamp comes on together with one or more of the warning lamps presented in these tables, place the vehicle in a safe condition (on level ground, gear engaged) and contact a PEUGEOT dealer or a qualified workshop without delay.